Since I just received a survey, I thought this would be a good time to talk about Member Surveys. Before we talk about the 10 Tips, a bit of history is necessary. I receive dozens of emails every day. I am on a lot of lists and enjoy reading how some companies like to market themselves. One of those lists I am on is an organization that I joined for one year. They work with an industry that puts on meetings and events. I had the promotional product half of our company join, wanting to become a service provider of giveaways for the meetings. Most of the group and therefore all of their activities were based nowhere near our San Fernando Valley base. But I was willing to take a chance. And the leadership of the organization, to a person, promised me that this would be a good move for my business and they would help. It turned out that it was a marketing fail. Their meetings were held at times that were inconvenient for me and at a distance which would have made it an average 90-minute drive to get there. So I did not renew and chalked it up to experience. But I stayed on their email list… or rather, they KEPT me on their email list, and I continued to monitor what they did. Which brings me to our topic today: I received a survey email from the group. When you first connected with the XYZ Association you were promised insights and information that would help you overcome challenges and develop innovative ways to build your business. I want to make sure I keep that promise. What is the single biggest challenge you're facing right now when it comes to landing new clients for your event planning business? A Member Survey!!! I LOVE surveys. How could I resist? I clicked the link and began the survey. Question one asked me if I was in the industry or a service provider. I thought that this was going to split the survey two ways. But I was wrong. They were just asking. How disappointing because this meant that their information was going to be combined. 2. As a planner or service provider what’s the single biggest challenge you face landing new clients right now? It would seem that they know that creatively promoting their business is the biggest challenge but they are not certain how to assist their members, though they are an organization that supports those businesses. Well…. as long as you asked…. I joined your organization years ago. It was on the promise that the group would help my business by creating connections with those who needed our promotional product services. Also, that some of the meetings were going to be more local to me. None of that happened in the year I paid for. Over the past several years, we expanded our business to offer full marketing plans – taking small businesses owners down a marketing path which lead them to their prime, demographically correct clients. So when I read this question, I think that most of them are not going to be ABLE to give you a very detailed answer. Knowing what is “working now” in marketing is a very fluid challenge. Especially if you try and generalize to a large, diverse group. I think that to help your members, you need to help them drill down to who exactly is their target market. Once you have that, it is easier to ‘land' new clients. By the way – the term ‘landing' is one approach – providing enough information which is helpful to your new client is another. Making yourself, your web presence, your collateral materials so incredible, that the potential client only thinks “of course” when it comes to the decision to hire you. What is your area of expertise (What part of the industry do you work in)? How many events a year do you manage? What is their average budget? Do you carry individual event insurance? I say this because there was only one question which required the kind of answer which would get them some real data. There was one very interesting question: What dollars have you invested in trade shows in the last 5 years? It seems an odd question, because it was the only question which asked about a specific marketing tactic. It made me wonder if the organization is planning to have their own trade show. At the end I added my phone number and contact info. I have not heard back in three weeks. 1) When asking survey questions, be certain that you are requesting information that will easily help you utilize the information to improve your service to those constituents. 2) When you are creating the questions, avoid “Organizational Bias.” This is an easy thing to happen and can skew the answers toward what you think the answer may be. 3) If necessary, or if you think you will get better, more complete responses, explain why you are asking a particular question. 4) Create a mix of multiple choice and short, “essay-type” answers for your questions. 5) Make certain your introductory letter explaining the survey matches the questions. 7) Thank them in advance for filling out the survey. 8) Thank them after they take the survey. 9) Offer them an incentive for filling out the survey. Everyone should get something and a few should earn something more. 10) This is very important: If you are an organization sending the survey, you should tell them that the people who take the survey will receive a report on the data gained from the survey and what the organization is going to do with that information. Would you like help creating your Member Survey or a survey that is going to be sent to your clients or employees? In fact, would you like a free evaluation of your marketing? 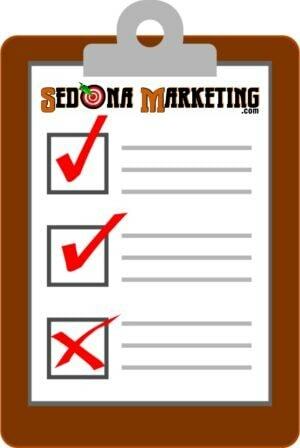 Head to FreeFromSMR.com and we will make that happen (we'll even email you back a free pdf of this checklist). Call us at (800)705-4265 and we will get started generating the kind of information you can truly use to improve your sales and marketing efforts.